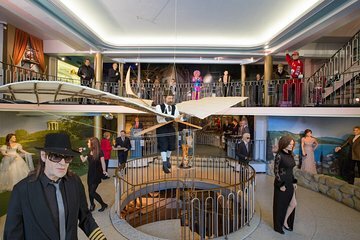 Enjoy swift entry to Germany’s oldest wax figure exhibition with this skip-the-line Panoptikum ticket in Hamburg. With your ticket in hand, beat the queues to this popular attraction and head inside to begin exploring. See life-like waxworks from the silver screen alongside your favorite pop stars and important figures from the worlds of politics and culture. During your visit, snap a selfie with Angelina Jolie, pose for a photo with German chancellor Angela Merkel or gaze longingly into Robbie Williams’ eyes! The Panoptikum is suitable for visitors of all ages. Interesting, but I expected more.